Levitating tables are usually reserved for magicians and seances, but the Floating Table from designer Ingo Maurer is an elegant addition to a non-magical dining room. 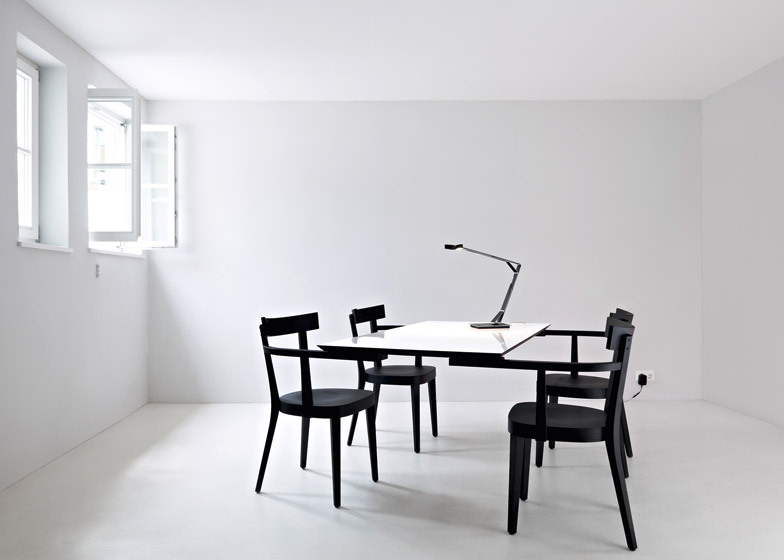 Making its debut at Ventura Lambrate in Milan this year, the table features a white formica top, solid wood chairs and a special hidden mechanism that allows it to pull off this seemingly mystical stunt. 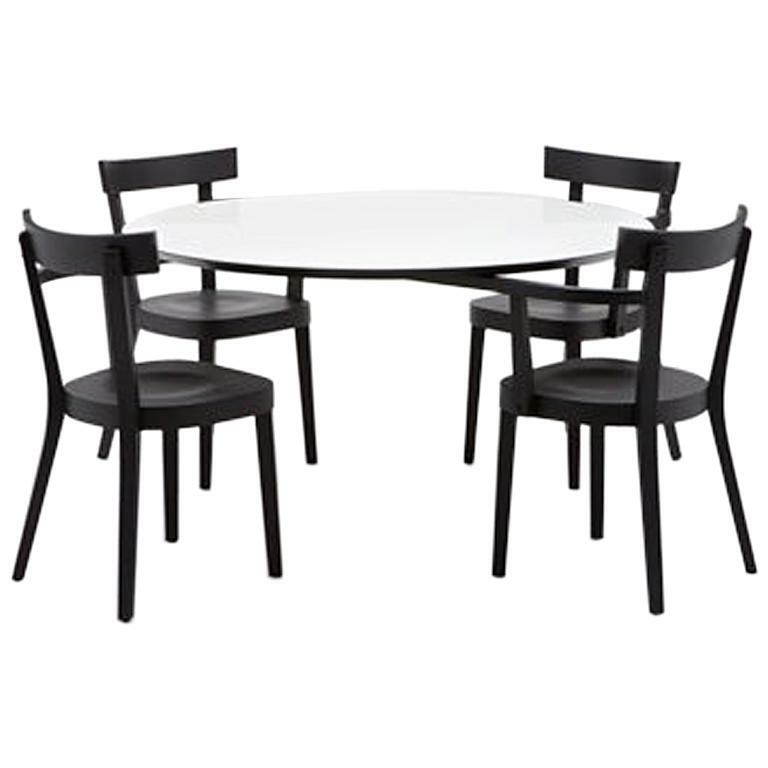 The legless modern table design was built in collaboration with Established & Sons and seems to float above the matching chairs. In reality, the tabletop is supported by specially-designed armrests that extend out from the accompanying chairs. 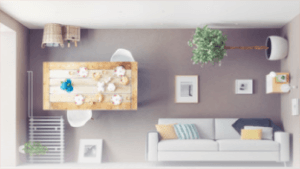 The chairs are able to pull out from the table thanks to a hidden mechanism, allowing you to sit down comfortably and then pull the chair in closer to the tabletop. Along with the novelty factor of a legless table, there is a practical aspect to this unusual piece of floating furniture. Sitting at a table without legs means that there is no more fighting for leg space, and no one gets stuck sitting with their knee uncomfortably pressed against the table leg. For once, a piece of potentially “gimmicky” furniture is actually even more useful than a standard design. 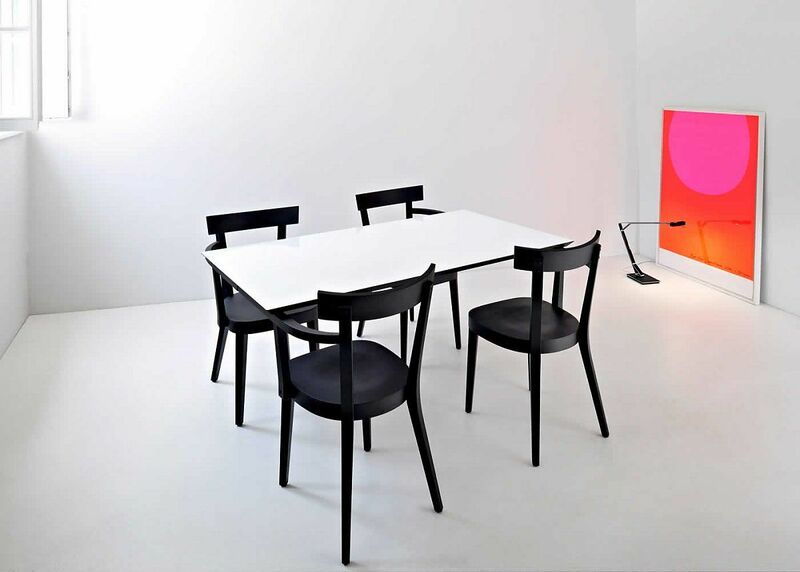 The rectangular version of the table was an early prototype; it’s now available in a more compact rounded form. If you’re interested in purchasing one of your own, you can snag this unique levitating table design over at 1stdibs.